"England, hosts Portugal and Switzerland have qualified for the Finals. The Netherlands can claim the fourth spot by taking a point or more in their match against Germany today, but if the Netherlands lose then France will qualify." Remember a couple of months ago, when everyone was complaining about the complicated nature of this new international tournament called the Nations League? Well, now all England fans love it, because it's turned out very nicely, thank you, after England battled back to beat Croatia 2-1 at Wembley on Sunday and top their Nations League Group. What does England's victory over Croatia mean? Topping the Group means that England qualify for next summer's Nation League Finals in Portugal. Four teams will go to the finals, with semi-finals being played on June 5 followed by the final and third-place play-off on June 9. So far, England, hosts Portugal and Switzerland have qualified for the Finals. The Netherlands can claim the fourth spot by taking a point or more in their match against Germany today, but if the Netherlands lose then France will qualify from that Group. By topping their Nation League, England also have an easier route to Euro 2020, as they will automatically get a qualifying play-off place should they fail to qualify automatically. After his 85th minute winner secured England's place in the Nations League finals, Harry Kane hailed 2018 as one of the greatest in the England team's history. Hard to argue with that, when you think how far England have travelled in the past 11 months. As late as March this year, uncertainty surrounded Gareth Southgate's plans for his team at the summer's World Cup. Could England's young players cope with the pressure? How would they line-up? Who would wear the captain's armband? But Southgate and his coaching staff, among whom Steve Holland must take immense credit, knew his team would play an adaptable 3-5-2 formation, and he probably had a good idea of who would fill each position. Also, Southgate sealed his hero status when he told Boris Johnson to do one, after the then Foreign Secretary said England might boycott the World Cup. In Russia, Southgate put his faith in a new generation of players, including Jordan Pickford and Harry Maguire, to cope with the demands of an international tournament. He believed Kane would rise to the challenge and score important goals in the biggest matches. So it proved, with England for once overachieving by reaching the semi-finals and causing the nation's fans to reconnect with the national team with the kind of passion not witnessed since 1996. 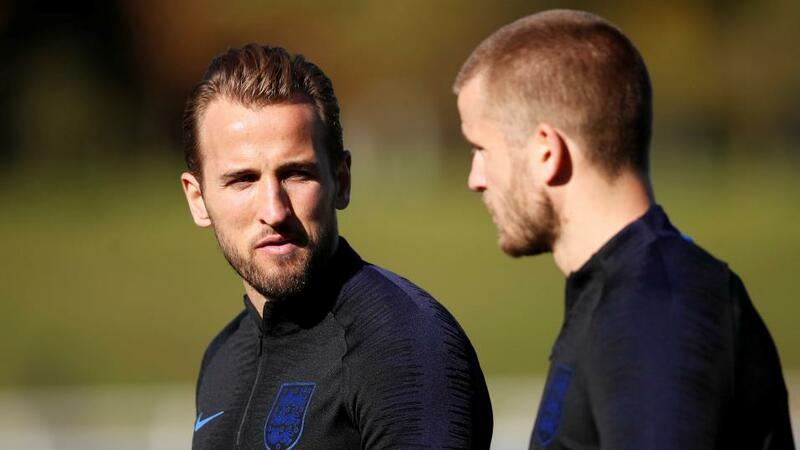 This autumn, England have built on the momentum, beating Spain in Seville before rounding off their brilliant year in dramatic style at Wembley. By beating Croatia, they overcame the team that put them out of the World Cup and ensured that they have a tournament to look forward to in June. It's a marvellous end to a wonderful year for the national side and Kane's goal underlines his ability to score important goals. His timing was impeccable, not only in terms of the result but perhaps too with regards to his chances of winning the BBC's Sports Personality of the Year for which he's now second favourite at [3.25].